GT-Command Mobil is an App which connects your Android or your IOS (Iphone and iPad) to GT-Command. 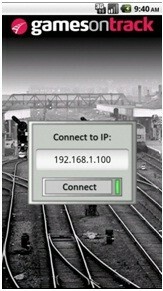 You can control all your trains, turnouts, signals, routes,and you can start all your automation programs. You can operate your Fiddle Yard as well as a complete block control system. You will get access to yout layout if you use GT-Position, and if so you can just press the turnouts and signals on the layout. GT-Command Mobil is an App which connects your Android or your IOS (Iphone) to GT-Command. 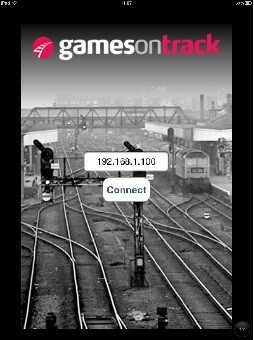 You can control all your trains, turnouts, signals, routes,and you can start all your automation programs. You can operate your Fiddle Yard as well as a complete block control system. You will get access to yout layout if you use GT-Position, and if so you can just press the turnouts and signals on the layout.